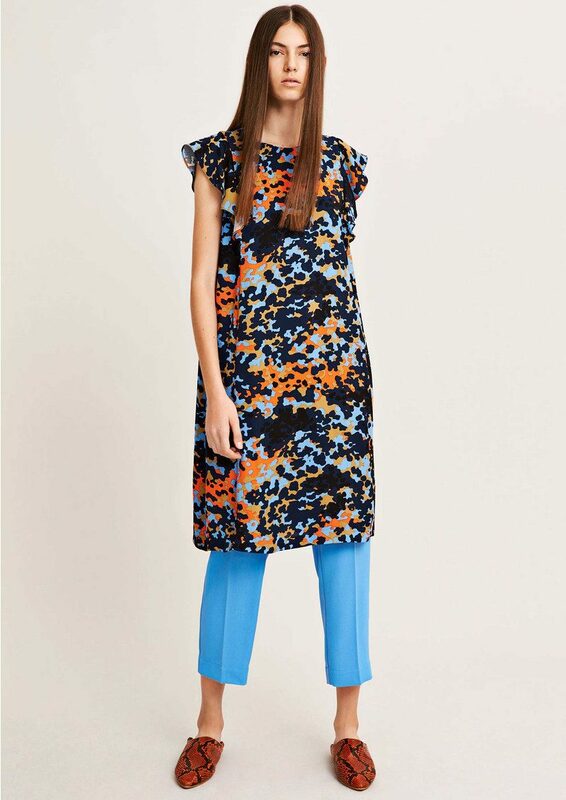 We all need a vibrant summer dress one to slip on and make the most of a sunny day or liven up your holiday look and this vibrant orange Ruba dress is just the one, it’s easy to wear, a bold colour and can be worn any time. The Dressing Room has a superb edit of summer dresses which cover everything from long figure fitting special occasions to a light floaty, flirty dress for a hot summer day. 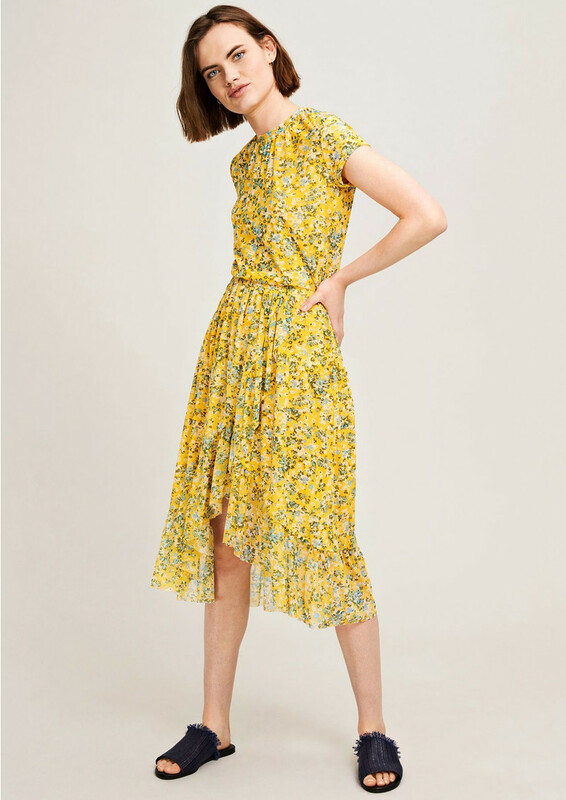 Bursting full of colour and print, this Samsoe & Samsoe Jayla Dress was made for the Summer time and features a yellow and blue floral print with neat short capped sleeves and a wrap across skirt with gathered at the waist with frills.